What Happens When I Put Money in the Collection Plate? In most churches around the world, during the service at some point, a collection basket is passed. Some churches have collection baskets in the back lobby, some pass them from person to person. But just about every church does this. My point in writing this is not to argue the need for people to contribute. That’s pointed out in Scripture pretty clearly in my opinion. I want to help you realize what your contribution dollars go toward. What happens when you put that check in the basket? 1. Salaries – Okay, let’s get this one out of the way. Yes, your contribution dollars go to pay the salaries of people on staff. You’ll probably be contributing toward the salary of a main pastor/preacher, an associate (who could have a plethora of various titles), a youth or student minister, an administrative assistant or two, and some sort of custodial staff. You also may be contributing toward the salaries of missionaries or other various people the church has agreed to support. Understand this – no two preachers/pastors are paid the same way. They all are paid differently. Oftentimes within the same office! Some ministers get paid just a straight salary with no benefits whatsoever, so if you think your minister is getting paid too much, remember, they pay their own taxes, health insurance, and retirement out of that. Some ministers get various packages including health insurance, or matching retirement, or other things. 2. Building – It costs money to maintain a building. Things need to be taken care of. Bills have to be paid. Insurance has to bought. If you don’t stay on top of building maintenance, it can all come due at one point. Maybe your church building has multiple Heating/Air units. Often these units seem to fail all at the same time, costing $20K-40K each to replace. If your church budget is $10K a week, it could take an entire month’s worth of contribution to fix this. Therefore, it would be smart for churches to save money in an emergency fund of some sorts for situations just like this. Buildings also have to be updated. Windows have to be replaced. Roofs have to be replaced. Parking lots have to be paved. All of these things cost money. On top of that – look at the bills associated with using the building. Your electric bill at home may average between $100-400 a month depending on where you live. But for your church building, it could run upwards of $2500-4000 a month! It sure is nice to have that AC running when you come in on Sunday morning in the summers. Many church buildings have baptistries. These are like having a small hot tub in your home. Electricity is needed to heat them. Chemicals needed to treat them. And, if your church has a kitchen, those aren’t cheap either! What a blessing to have fellowship meals and share with each other, but stoves, refrigerators, sinks, and utensils are needed. 3. Don’t forget about the children! If you want to provide a quality education system for your children and teenagers, its going to cost money. Crayons, markers, paper, scissors, glue – these items don’t just show up. They cost money. Also, most churches either pay for curriculum, or use a free curriculum and spend just as much on gathering supplies for the classes. Then you have things like Vacation Bible School. Paying for extra snacks, crafts, and other items is not cheap. Sadly, there are many churches that spend very little on their children’s education fund. They skimp on supplies, curriculum, and activities for them, and wonder why their children’s program isn’t growing. You have to put money into it. No, you don’t have to put a ton of cash into it, but do you really want your church to skimp on the children? 4. Software/Computers/Electronics – I’m so grateful that I live in a day and age where I can worship by looking at a screen that projects the words and notes for my convenience. I’m so happy to be able to use powerpoint/keynote while I preach to be able to better teach. These can’t be used if you don’t have projectors. If you want them to be effective they have to be good projectors. And of course the projectors are useless unless you have the computers. And guess what? These all cost money! And not just that – its great to be able to hear our members when they lead prayers, lead songs, lead worship, read scriptures, etc. You’re able to because you have microphones! And these microphones have to have amps, wires, mixers, etc. to run them. Many of the programs we use have to be updated, or renewed, on a yearly basis. And if your church has a website, well, they aren’t free either. But its a lot cheaper than those old telephone book ads! 5. Benevolence – Most churches have some sort of benevolence program. Some of you may not realize that your church often helps members with problems that may arise in their lives. The occasional gift card to a local gas station or grocery store is given to walk ups throughout the week. 6. Outreach – These days, visitors (and members) expect things to look as professional as they can. You want to put your best foot forward when you look at reaching out to the community. Because of that, we have bulletins, pamphlets, brochures, cards, and pens to hand out to people when they come in the building. But what about getting them in the building? You may have a sign outside your building, but you and I know that’s not enough. We tend to take out ads to promote our churches. Radio spots, internet advertising, mail outs, and other various methods of outreach are wonderful, but they take money as well. 7. Transportation – You have people, they need to get places. Those youth trips need a bus. Those senior saints outings need a van. Monthly maintenance, gas, oil, tags, insurance are needed. 8. Future planning – We’ve already sort of alluded to this, but I think its worth having a category in and of itself. 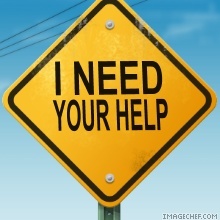 Most churches I know of would like to grow. When you grow, you have to be able to do so. New things must be purchased in order for growth to occur. A smart congregation will be aware of this and plan ahead for this. For example, if you’re ordering books for a class, you would be smart to order 15 books, even if you’re only planning on having 12 people. Why? Because you plan on the class growing. Whether you want your current church family to grow, or whether you want to grow by planting elsewhere, you need to plan for that growth. There are many things not mentioned here that the contribution goes to help with, but I think you get the idea. Churches depend on the contribution of their members. What have I missed? What else does your contribution help with? This was a picture of me reading the sermon that Peter delivered on the temple steps in Jerusalem on the day of Pentecost. This was taken while visiting Israel in the summer of 2014. The steps that are worn are the original temple steps – the ones off to the left have been restored. It was here where Peter preached the powerful sermon found in Acts 2. The day had finally come. Jesus had promised this day to this disciples before he was even crucified, although i’m not sure they really understood that the Comforter was going to be the Holy Spirit. I’m confident they did not know what the Spirit was going to do for them. They had watched Jesus ascend into the sky. The angel had told them “Why are you staring into the sky? He’ll be back.” They had already lost Jesus once, but this time it was different. They didn’t run off. They didn’t go back to their original jobs. This time, they knew they had to continue the work Jesus started. They went back to Jerusalem. They prayed, along with the women, and Mary, and the brothers of Jesus. To fulfill Scripture, Peter spoke up and said “We need to replace Judas.” They chose Matthias after casting lots. Pentecost came. 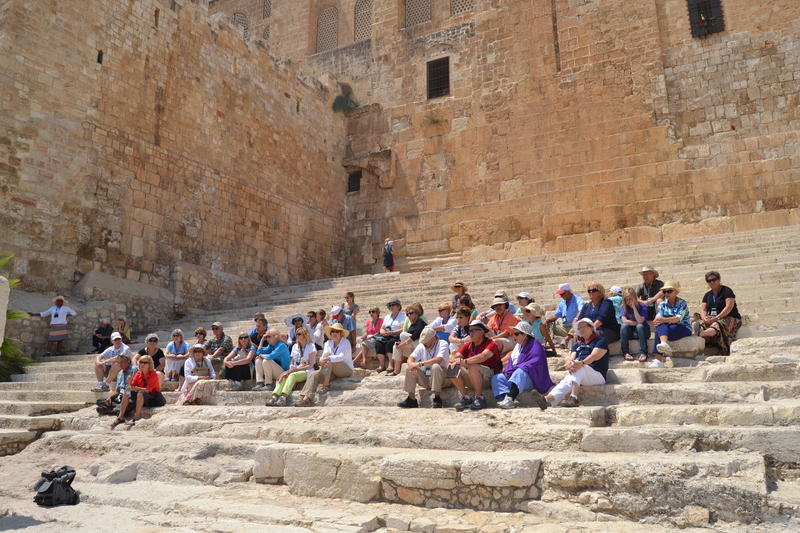 There was a gathering of Jesus followers in Jerusalem. They had been together since Jesus ascended to Heaven. The disciples were hanging out, and suddenly, a violent wind came from heaven, and filled the house where they were sitting. Something that looked like tongues of fire came to rest on each of them. This was the Spirit of God coming to dwell in them. They spoke in other languages – because in Jerusalem there were staying God fearing Jews from every nation under heaven. And each of them heard the wonders of God proclaimed in their own language. Peter gave a lesson that day. He started off by saying “No, we’re not drunk.” What a great introduction to a sermon! He then reminds them of what the prophet Joel had said years before – that the Holy Spirit would come and live among them. And that everyone who calls on the name of the Lord would be saved. He then proceeded to remind them about Jesus. Jesus, of Nazareth, proven to be from God based upon all the miracles and wonders he performed – was here on this earth. He then reminded them that Jesus was handed over to man, and put to death on the cross. The good news was that God raised him from the dead, freeing him from the agony of death, because death could not hold on to him. What they had followed, people like the patriarch David, died, and was buried, and still remained buried. But Jesus – he no longer was dead. He arose, and now has passed into Heaven, and sent the Spirit to live and dwell among us. The way Peter responded to them is the same way he would respond to us today. Repent. Be baptized. Live with the gift of the Spirit. That day, about 3000 were added to the Jesus movement. The Church had begun. And it still stands today. Tomorrow, believers around the world will gather together. We’ll sing songs, we’ll pray, we’ll partake of Communion. But the simple message of salvation still stands true today. It hasn’t changed since Peter spoke the words thousands of years ago. Repent. Be baptized. Let the Spirit live in you. Preachers – there is no reason to make the message complicated. Peter’s lesson was not overdone. It was not hard to understand. It was not agenda driven. It was simply this: Repent. Be baptized. Let the Spirit live in you. Let the Spirit live in you and guide you instead of the world. That will preach my friends. Change your ways, be baptized, let the Sprit guide you instead of the world. I love giant churches. I remember when I was a little boy, I would go and visit my grandmother at the Charlotte Avenue Church of Christ building during the week. She was the church secretary there and I loved going to play in the building. The auditorium was so beautiful. I remember the curved pews lining the sanctuary, with the balcony hanging overhead. But there was also a gorgeous chapel, long halls, a huge education wing – this place had it all. I was mostly jealous, because my family went to a small church. My father as the preacher for small churches in and around Wilson County. When I say small, I mean 25-50 members small. At one location, my mother would take me and my sister to the back corner of the auditorium where they had strung up a curtain so we could have a “classroom” to use. It was these kinds of places that I grew up in, learning about the Bible. So when I went to a giant church building, I could just imagine how much they were able to do there. The majority of my childhood was spent in the Bethel Church of Christ near Watertown, TN. There were at least a few people my age there. There was another family, the Smith family, who had 4 girls – Jamie, Sonya, Robbie, and Callie. Sonya was my age, and Jamie was my sister’s age – so at least we had that. We even had a classroom, and my mom didn’t have to teach us, because Mrs. Fannie Bell Warren was my teacher, and Ms. Dorothy Jean Smith taught my sister. What I’ve learned over the past few years is that while large churches can do great things, so can small churches. The memories I have of Bethel are forever etched in my mind. Jesse Russell would lead our songs. We had about 15 songs we sang, over and over again. He wouldn’t have them prepared ahead of time, he would just get up and pick one by flipping through his book. His wife Fredda, would clip her fingernail every Sunday. John Clemmons was an elder. He was bald as a cue ball. He always had his hat with him. His wife, Christine, was a very outgoing and friendly lady. Willard Warren was my teacher’s husband. They sat right behind us. I spent many a Sunday morning sitting with them while my dad would preach. There was the resident business man, who actually lived in a farm behind the church building. Dan Smith always seemed like a local politician. His wife, Vondie, was one of the nicest people I’ve ever met. We may not have had large programs, and we may not have supported mission works all over the world. On Sunday, most of the times my father had to preach, and lead a prayer, and possibly serve Communion as well. But we were a family, which is one of the many parts of what a church is all about. Last weekend, I preached for the Fernvale Church of Christ. Its a small church, just left of the hollow log by the creekbank just past the old Wilson place. Its a church family that doesn’t have a full time preacher. They like to bring in students, but didn’t have one for this semester that could come out full time. I was contacted by one of their elders to see if I could come fill in a bit before we moved on to our new work in Florida. I walked in, and was smacked with my memories of childhood. Small lobby, two small wings on the side of the building for overflow. No microphone needed. And some of the friendliest people I’ve ever met. Today, I’ll preach for them again. We’ll drive 45 minutes to get there, and it will be worth every minute. Let’s not get caught up in how many people are coming to our church. Let’s not get caught up in the numbers. Let’s not be people who ask “How many people go to your church?” – because honestly – that just doesn’t matter. What matters is that the church exists at all, and that is affecting lives for the Kingdom of God. Large churches are great – they can do so much for the Kingdom. But so can the small churches. To those of you who preach and teach at the “small” churches – may God bless you today with and overwhelming sense of His presence. May God be praised. Amen. Help Wanted: Do You Have What it Takes? Can you help me out for a second? I’m in the process of trying to commit more time to writing on my blog. 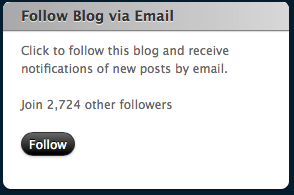 One thing that is needed to make a blog successful is to have some followers. I have several right now, but am looking to increase my readership. I don’t want to do this just so I can have massive amounts of people following. In fact, I’m not a numbers guy at all. The reason I want to do this is because I feel like this is a very effective way of reaching people who are lost, reaching those who are spiritually confused, or those who are seeking. You never know what someone scrolling through social media may be struggling with these days, and when you share something – it may be just what someone needs that day! Like and Share my posts on Facebook. Just hit the like button, and then hit the share button. You can make a comment, you can tag someone in the share that you know may need that thought that day. Do this for others. For ministers, this is just one extra way we can enlarge our sphere of influence for the Kingdom. Over the next few days/weeks, I want to share with you the many reasons why I love my church family. I am currently serving as the preaching/executive minister for the Granny White Church of Christ. For anyone outside of our immediate area, that name probably sounds rather odd, but we are named aptly for the street on which our building is located, 3805 Granny White Pike. Even though it sounds like it, we are NOT named after a person! I know that many of you worship with, serve with, and work for wonderful church families. The purpose of these posts are not so I can tell you how much better we are than you. My purpose is really to inform you of the great work this church family is doing. On September 12, 2011, my family started a new chapter as we moved “home” to Nashville from the West University Church in Houston, TX, and began working with the Granny White Church of Christ (often referred to as GW). It was hard to leave the dear friends we had made in Houston. The West University Church of Christ is a small congregation in the heart of Houston, struggling to find members due to its urban location, but working hard to further the Kingdom of God. Long story short, when offered a job here, after much prayer, we took a job at GW and moved to Nashville. We began our ministry, and have been growing ever since. Over the next few days/weeks, I want to explain to you more why we took this job. I can assure you – I would never pack up my family and make such a big move if I didn’t fully believe in the place, and I fully believed after I met with the elders, members, staff, and friends of the GW Church of Christ, I would not have moved here. What I will leave you with is this – the people are GW are scriptural, loving, friendly, and on fire for God. There are some amazing things happening here, and we’d love for you to come and be a part of it. You can always visit our site at http://www.grannywhitechurch.org. For our members, feel free to comment on the blog, facebook post of the blog, or reply to the twitter feed for why YOU love GW. I’ve been involved with churches that were big, and involved with churches that were small. The first church I worked for averaged about 180 members on Sunday morning for their worship service. Compare that to the church I attended when I graduated from high school, and where my father currently serves as a minister, which now has about 700 members. One of my best friends and fellow minister, Jason, works for a congregation in Alabama that has well over 2000 members. The church I attended for the longest time from about 1st grade till around 10th grade only had around 35 in attendance. Seemingly, according to Mac Lynn’s 2006 book “Churches of Christ in the United States”, it seems as if the majority of the congregations in the United States have anywhere from 50 to 199 members. If you were to take an average, the churches of Christ average about 97-100 members per congregation. I have to be honest, I hate numbers. I’ve hated numbers for a long time. It started with Algebra 1 in 9th grade. I had a horrible teacher who cared more about flirting with the athletes in the class instead of teaching us math. Ever since then, I gave up on numbers. 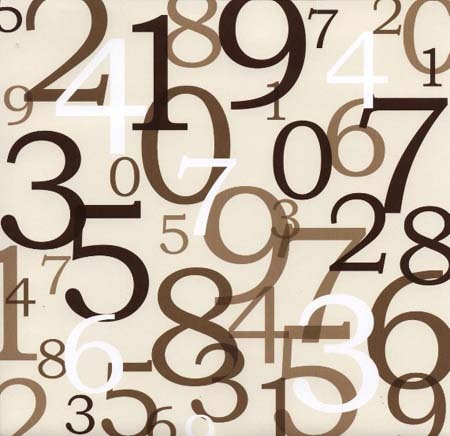 When I was in youth ministry, there was always a double standard for numbers. I needed to grow the amount of people in the youth group, but it was okay for the church to stay the same size. If we weren’t bringing in more teenagers to the youth group class, then I must be a lousy minister. That equation, sadly, is the equation that so many ministers must live up to. Now I work for a church that is hovering with an average attendance of 160 or so. Of course, according to the studies of the church, this is an average, or better than average size for a congregation. Since I have moved here, I finally seem to have figured something out. No matter how large the church is in numbers, if you don’t have love, it means nothing. Sure, 2000 members singing in harmony together during a worship service sounds wonderful, but so do 75 members. You may have the best and most educated ministers in the few 1000+ member congregations, but the churches of 200 members have ministers who put a whole lot of time into their work as well. Most importantly, I feel as if when we pressure people to become members, they run. And if they run, more than likely they are just running away completely, and not to another congregation. When we throw a membership card in their face as they walk in the door, they’re naturally going to think that we’re just like every other venue in their lives. Get to know them. Talk with them. If they want to give you their contact info, they will based upon desire to get to know your church better. Have cards for them to take that have contact info for your church, service times, activities, etc. If they give you permission to call them or email them, great! If not, let them make the next move. If you have done all you can as a church, they will want to come back. If the church was not friendly, clean, inviting, prepared, organized, welcome…no amount of cards, visiting or free gifts will get them back into the church. We don’t want the church to sound needy. 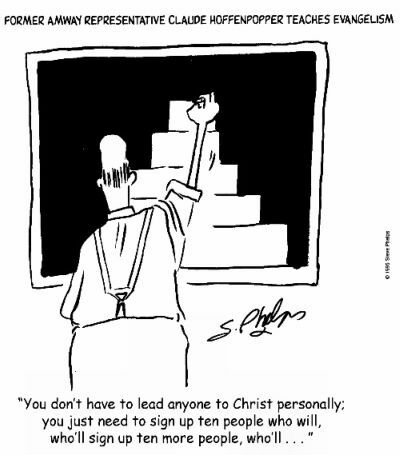 When a church sounds needy by saying things such as “We really need you to be a member” or “Our church sure could use another servant”, it comes across as needy. Instead, offer to do something for them, instead of trying to sign them up for the Benevolence Committee on their first visit. See what you can do for them, or if they have any questions. The truth of the matter is, God did wonders throughout the world with Jesus and his 12 disciples. If I’m doing the math correct, 12 < the average number of members in the Church today. I hate numbers. I always have, and I always will. The only number that matters is that there is ONE God, ONE Savior, and ONE Hope. Let’s just do our best to show everyone who comes through that door, or everyone we come in contact with, or everyone we see on a daily basis, that Jesus Christ loves them and died for them. Most importantly, we need to show each other love. Do I exemplify that love all the time? Not even close, but I’m trying, and I hope you will too. There has been a large gap of time that has passed since I last posted. Let’s just say that I’ve been overwhelmed, under-motivated, and lacking the desire to write. For the three or four readers that may remain, I should be getting back in the groove soon. I have been guilty of something as a minister, that I believe many ministers struggle with – not always practicing what I preach. How many times have I encouraged people to reach out to others? To invite others to church? To teach them the Gospel? The times are too numerous to count, yet I can count the few times I recall where I actually, on my own, did evangelism like I encourage others to do. Jesus told his followers to preach the Gospel to people all over the world. I am a follower of Christ. Therefore, in order to obey Jesus, I need to be doing the same. I’m afraid, however, that I’m guilty of expecting the evangelism to come to me, instead of me going to do the evangelism. I get caught up with work at the building, the office, with the people who are already a part of the church. Why do we do this? Am I always prepared? Are you? Is the reason I’m lacking in my evangelism because I’m not showing this “hope” Peter says we should have? Am I alone in this? I think there was a time in the US when you could approach just about anyone, and talk to them about God, and not be fearful of how people would respond. Now, it seem we all walk on eggshells about our faith, not wanting to offend, and possibly even just wanting to keep it to ourselves. 1. I always try to say God bless to anyone who offers me some sort of service. I drive through a drive through, and I say God bless to the person taking my money, and the person handing me my food. 2. I try to be aware that the rest of the world is being pretty negative. If I can share a smile, be polite and cordial to everyone, and just do things that used to be considered “good manners”, I think it makes an impact. 3. I bring up my occupation when appropriate, not to brag, but to remind me of who I am and what I do. This makes it surprisingly easier to be an evangelist, because its almost expected to be brought up. Case in point, two weeks ago I ran into Dillards late on Saturday to buy a tie to go with a new sports coat I had bought. The lady who was helping me match my coat to a new tie seemed a bit flustered, due to all the Black Friday sales. I brought up that I needed a new tie to go with my coat because I was preaching in the morning. Immediately her spirit changed, not because she was trying to “act better” in front of a minister, but because I reminded her of what was coming. She told me that she was going to have a better night now, remember that the Lord’s Day was the next day. I don’t know where she went, or what religion she was, but she was reminded of God’s comfort. Those are just a few things, but I want to know how the rest of you follow God’s command to make disciples. What have you found that works? I’ve seen many blogs and posts on the fact that evangelism is commanded, but not many people talk about what they’re doing, but rather about the fact that its supposed to happen. How long should the Sunday morning sermon last? Our Senior minister and I just had a long discussion about sermon length. 1. Some of the larger denominational churches that are rapidly growing often have ministers/pastors that speak for upwards of 40-45 minutes. 2. The human mind doesn’t comprehend much past 20-25 minutes in one time frame. 3. In order to get deep into the word, you sometimes have to preach a lot longer. 4. People who get distracted/fall asleep/etc. are going to do that in a 10 minute sermon or a 50 minute sermon. Please take a moment to vote in the poll, and leave a comment if you’d like about why you chose that, or add something new. Thanks! Few stories in the Bible pull at the heart strings like the one found in Luke 15, the story of the Prodigal Son. Every time I read it, hear it, listen to a sermon on it, or even think about it, I can put myself into all three of the main character’s shoes. This story has power, meaning, and truth buried in so many pockets that it seems as though one is always able to pull a fresh idea out of it, or at least revamp an idea that one has heard. As I was preparing for the sermon I preached yesterday, I could not help but go directly to this story. You see, we’re going to have a theme for the year in 2010 here at the West University Church of Christ. It is simply “Rediscovering Our Focus”. Who did a better job of rediscovering their focus in the Bible than the Prodigal, Lost Son? This young man went from rags to riches in no time, but immediately went back to rags as he squandered his wealth on wild living. I wonder sometimes if the church isn’t in a similar predicament. 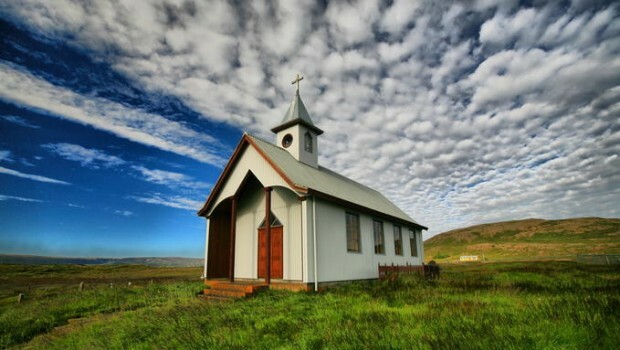 According to the Christian Chronicle, since 2003 there are 526 fewer churches and 78,436 fewer people in the pews. Now, granted, this number does reflect one church with 5000+ members in Richland Hills being “dis-fellowshipped” by the Mac Lynn Churches of Christ book, but that only accounts for a few of the near 79,000. Could it be that in the years when the Church of Christ was growing, we didn’t realize how great it was until it was too late? Did churches get to a point where they stopped evangelizing and just expected people to come to be with them? Did we waste away the good ripe years of planting seeds because we were enjoying the harvest? I think the best part about the story of the prodigal son is found in verse 17, where it says “He came to his senses”. At one point, he looked up from the pigs he was feeding, and had to realize that enough was enough. Going from being the one everyone respected and wanted to be with because of his wealth and lifestyle to living with the pigs must have been hard, but that’s what happened. He could have continued to wallow in self-pity, but he did not. Verse 17 simply states that he came to his senses. He realized there could be more to his life. What can we do to make things better? I think we can again look to the prodigal son to find our answer. After he came to his senses, he did the most logical thing any of us can do — he came up with a plan. His plan was to simply go to his father and ask if he could work as a servant. His only goal was to get out of the mess he was in, not to seek out his place as a son, but simply to be a servant. Of course, we read on the chapter to discover that he was given so much more than just a job. All of that happened because he had a plan. If we don’t have a plan, what kind of hope to we have? God blesses those who have a plan. Our plan here at the West University Church of Christ is to simply rediscover our focus. We’re going to look at all sorts of things that we need to rediscover a focus on – leadership, love, worship, emotion, giving, evangelism, grace, baptism, and family…just to name a few. We’ll start next week with Rediscovering our Focus on Leadership, and we will begin the process of appointing new deacons. We have to let go of the things that have entangled us in the past, and rediscover our focus. We need to embrace our plan, and work together. Forget petty differences, forget legalistic arguments, forget about selfish ambitions, and focus on the fact that there are lost souls in this community. Let us all rediscover our focus in 2010.